At various times, in various places, people may notice a procession of animals, everything from dogs and cats to hamsters and even horses, led to churches for a special ceremony called the Blessing of Pets. This custom is conducted, usually in autumn, in remembrance of Saint Francis of Assisi’s love for all creatures. Francis, whose feast day is October 4th, loved the larks flying about his hilltop. He and his early brother friars, staying in a small hovel, allowed themselves to be displaced by a donkey. 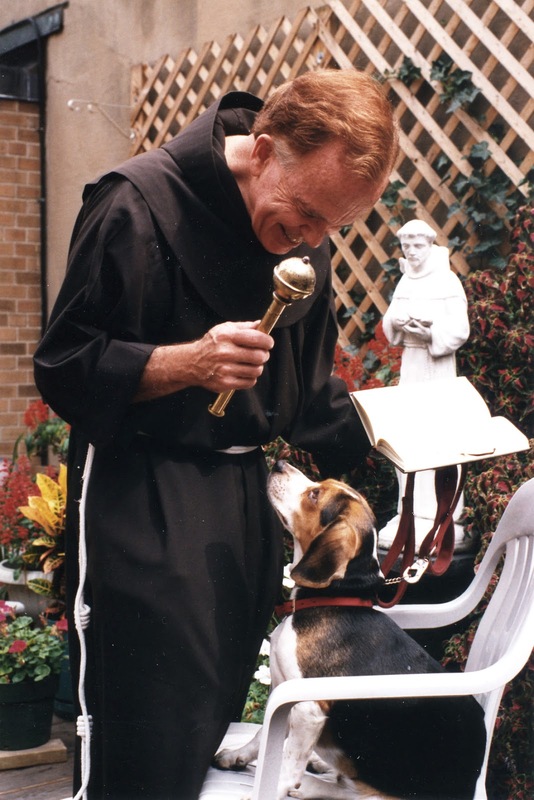 Francis wrote Canticle of the Creatures, an ode to God’s living things. 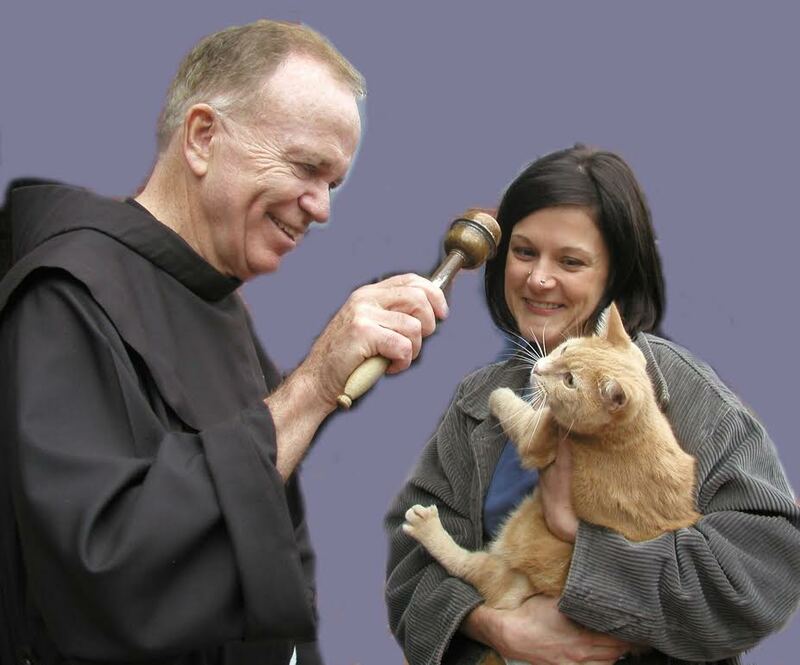 “All praise to you, Oh Lord, for all these brother and sister creatures.” And there was testimony in the cause for St. Clare of Assisi’s canonization that referred to her little cat! That there are today more than 150 million pet dogs and cats in the U.S. attests to the continuing affection we have for our furry, feathered or finned friends. Popular presidential pets range from Abraham Lincoln’s Fido to Lyndon Johnson’s beagles, Him and Her, to Buddy and Socks, and Bo and Sunny. Patton, a goldendoodle, is the newest candidate. The bond between person and pet is like no other relationship, because the communication between fellow creatures is at its most basic. Eye-to-eye, a man and his dog, or a woman and her cat, are two creatures of love. No wonder people enjoy the opportunity to take their animal companions to church for a special blessing. Church is the place where the bond of creation is celebrated. “Blessed are you, Lord God, maker of all living creatures. As the prayer is offered, the pet is gently sprinkled with holy water. Believe it or not, most pets receive this sacramental spritz with dignity. Though I must admit I have seen some cats flatten their ears a bit as the drops of water lightly pelt them. But the owner is happy, and who knows what spiritual benefits may result. Usually the Blessing of Pets is held outdoors. But I remember it rained one year, and all were invited inside in Manhattan. It was quite a sight to see pairs of creatures—one human, one animal—sitting in the pews. The pastor joined right in with his beagle. Noah’s Ark was never like this!